Localist-movement candidates on record as supporting an effort in Osaka (pictured) to host a casino resort won the respective elections held on Sunday for governor of Osaka prefecture and mayor of Osaka city. That is according to polls that evening from Kyodo News and public broadcaster NHK, which said Hirofumi Yoshimura and Ichiro Matsui of the Osaka Restoration Association beat out challenges from opponents fielded by the grouping governing at national level, the Liberal Democratic Party (LDP). Both groupings had pledged public support for a casino play in Osaka, but the LDP’s backing has reportedly been more nuanced. But the ostensible goal of the polls called by the Osaka Restoration Association – namely to give it a mandate to merge the prefectural and city governments and instead create a system of metropolitan electoral wards in the manner of Tokyo in what it claims would be an efficiency drive – might remain a matter of debate. 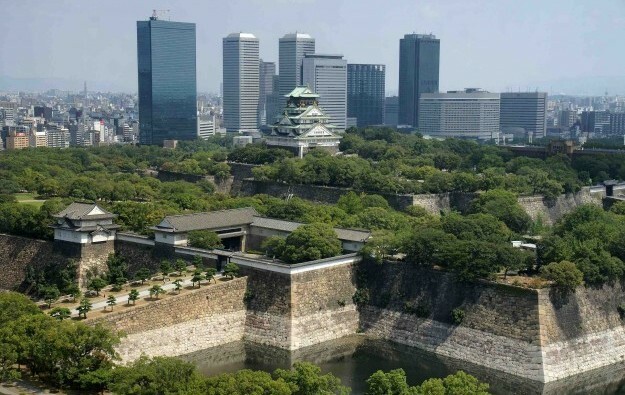 That is because the Osaka Restoration Association might need the support of the party known as Komeito in order to secure a majority of seats in both the municipal and prefectural assemblies, reported several news outlets. Komeito, a Buddhist-influenced outfit that is partner of the LDP at national level, has so far opposed the merger plan for the Osaka city and prefecture governments, claiming it would be costly and of no benefit. According to information coordinated by GGRAsia’s Japan correspondent, barely half the eligible electorate bothered to vote in Sunday’s two Osaka polls. In the prefectural-governor election, turnout was 49.49 percent, with Mr Yoshimura of the Osaka Restoration Association getting 64.4 percent of the votes cast. For the mayoral race, turnout was 52.70 percent, with Mr Matsui getting 58.1 percent of the vote. The Japan Times noted that the Osaka Restoration Association – known in Japanese as “Osaka Ishin no Kai” – would still need to table a local referendum on the merger topic, and had already had such a proposal rejected by the electorate in 2015. In Sunday’s poll, Messrs Yoshimura and Matsui were actually running for each other’s former jobs, having been prior to the election, mayor and governor respectively. A number of investment analysts covering the casino industry has noted the complexity of Japanese democratic politics. Such complexity could be a factor affecting the timetable for building in Japan casino venues – known locally as “integrated resorts” (IRs) – despite the second stage of basic enabling legislation having been passed at national level last year. As well as the mayoral election held in Osaka on Sunday, the Yomiuri Shimbun newspaper reported that five other mayoral polls were held across the country. They were in the ordinance-designated cities of Sapporo, Sagamihara, Shizuoka, Hamamatsu and Hiroshima. There were also assembly elections in 41 prefectures and 17 ordinance-designated cities according to the news outlet. In Hokkaido, Naomichi Suzuki, a former mayor of Yubari supported by the LDP and Komeito, defeated the opposition-backed Tomohiro Ishikawa, a former House of Representatives lawmaker. Hokkaido has been flagged as a possible contender to apply to the national government to host a casino resort, although the location has yet to be affirmed. Prefectures and ordinance-designated cities qualify under the rules established by Japan’s national government to apply to host a casino resort if they so wish. As of a poll announced early this year, only three authorities had stated their clear backing for such a move. According to the Japan Times, the country will have another round of simultaneous local elections on April 21. The upper house of Japan’s national parliament will also have elections in July noted multiple media outlets.